Email on the iphone and ipad is a pretty good experience. With one big exception. Groups. Steve Jobs insists you only converse electronically with one person at a time. If you break this rule, you’re punished by having to tap, tap, tap every recipients’ address one by painful one. The discomfort is even worse when you can see your beautiful, elegant groups sitting in there your contacts. They’re synced up from your desktop address book, but you can’t use them. So close, yet so far away. Thankfully, there’s an app for that. 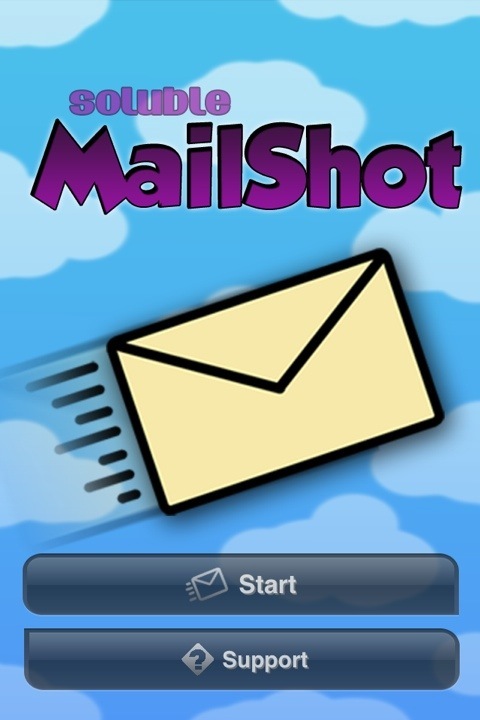 MailShot is free. It’s available for iPad and iPhone on the App Store. It imports groups from your contacts and reformats them to work in your iOS email. Once you go through the quick set-up, type the group name into an address field — just like a single contact. Except now, your email’s on it’s way to the whole crew. No more typing recipients one at a time. Sweet! This entry was posted in mobile updates, wildlife. Tagged app, Email, iphone, MailShot, mobile updates. Previous Post Previous post: You wanna fight? Thanks for the writeup Wildman. Plenty of user support is available at http://solubleapps.com/MailShot-support, or drop us a line and we’ll do our best to help. An in-app upgrade lets you address many more groups and contacts, or you can purchase “MailShot Pro”, which is already upgraded.. Thanks for the great app, Peter. It’s rare to find something so simple that solves such a fundamental problem. Best of luck to you!